The CPDC is strengthened through a network of strategic partners. You can see our list of strategic partners here. The creation of UN Women came about as part of the UN reform agenda, bringing together resources and mandates for greater impact. CIVICUS: World Alliance for Citizen Participation is an international alliance of members and partners which constitutes an influential network of organisations at the local, national, regional and international levels, and spans the spectrum of civil society. CIVICUS includes the following in its definition of civil society: civil society networks and organisations; trade unions; faith-based networks; professional associations; NGO capacity development organisations; philanthropic foundations and other funding bodies. Women’s Media Watch – Jamaica is a civil society, not-for- profit organization comprising a core volunteer membership of women and a wide network of male and female associates. Founded in 1987, WMW is volunteer-driven and operates a small secretariat with three part-time staff. The organization works to improve the images of women and men in the media as one way of reducing violence. 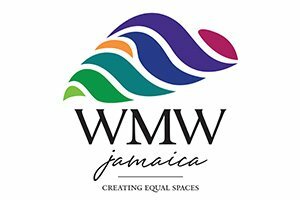 Jamaica’s Women’s Media Watch – Jamaica (WMW) has worked with journalists to develop gender-aware media practices, and to influence broadcast policy and legislation. The organization also provides training programs for diverse audiences on the prevention of gender based violence and the promotion of gender equality.